Loads of options! The Hasbro Xevoz Franken'Punker Action Figure is one of those figures that toy snobs will always remind you could have been yours quite cheaply, but you skipped it, because you're a bad human being. He had tons of gear, multiple heads, weapons galore, and even spare arms, legs, and hands - all for about ten bucks. And you didn't buy one. So read on, and come back soon for more! If you clicked play, you could already be done watching this Six Second Toy Talk: The Black Series Ree-Yees Action Figure video. It's really short - you don't need to spend 20 minutes watching a video for a single figure. 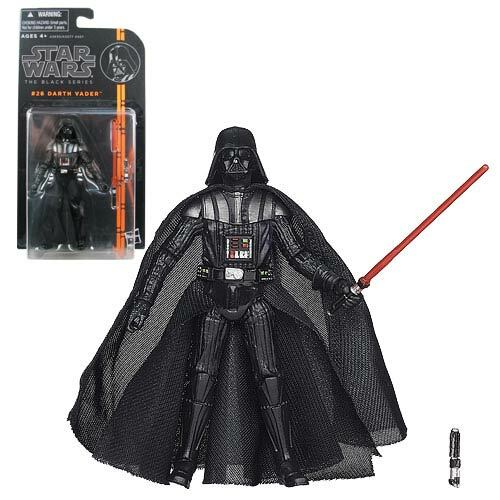 Ad: Check out the Entertainment Earth Clearance Sale! Over 2,000 items are on sale right now for ridiculous prices. Action figures, statues, busts, dioramas, and oversized replica vintage toys can be yours - if you hurry! Feathery! 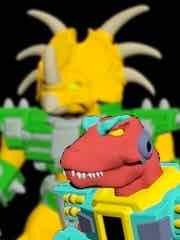 The Hasbro Transformers Beast Machines Deluxe Dinobots Airraptor was a US repaint of a (temporarily) Japanese exclusive mold with bright, cheery, and wonderful deco. So read on, and come back soon for more! We reviewed it in Figure of the Day recently, but I've been playing with extreme short form video so here you go - it's the SDCC Predator ReAction Invisible Bloody Action Figure! Click play and you'll be done watching it before the page can be scrolled down. FOTD #1,000! Tell Your Friends! FOTD hits 1,000 today - wow! The Funko Hikari Vinyl Freddy Funko (Creature from the Black Lagoon) is a heck of an awesomely strange figure, and it's living in a cabinet under my TV - a great display place. So read on, and come back tomorrow for more! 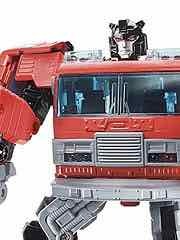 Today in Six Second Toy Talk, let's look at Hasbro Transformers Generations Nemesis Prime with Spinister. It's new! 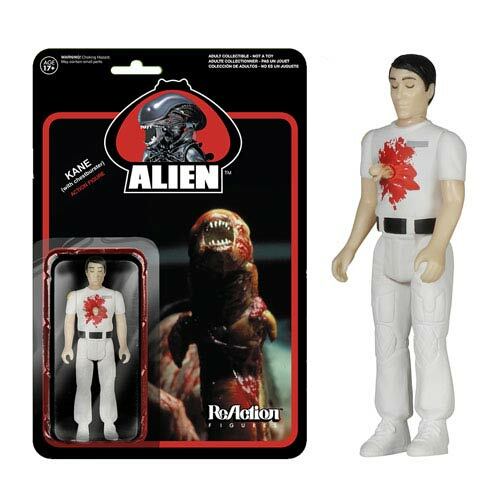 But there are newer figures - Acid Storm and Gears came in the mail today from Entertainment Earth, so hopefully we'll look at those real soon. 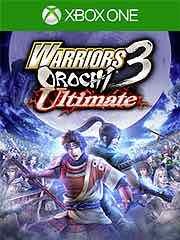 New to the Playstation 4 this week: Warriors Orochi 3 Ultimate and Velocity 2X. 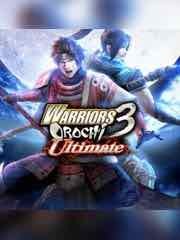 New to the Playstation 3 this week: Warriors Orochi 3 Ultimate, Epic Adventures Bundle, and Deathmatch Village. 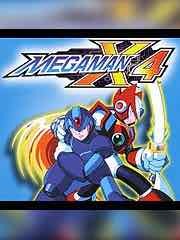 New PSOne games this week: Mega Man X4 for $5.99. 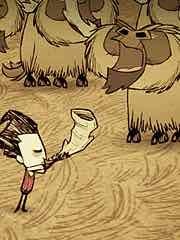 New to the PSP Vita this week: Don't Starve: Giant Edition, Velocity 2X, Joe Danger, Danganronpa 2: Goodbye Despair, Mahjong Gold, Deathmatch Village and Warriors Orochi 3 Ultimate. Debut! 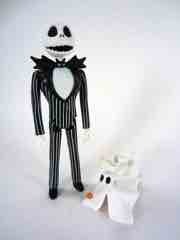 The Funko Nightmare Before Christmas Jack Skellington (Early Bird Figure) is fantastic. 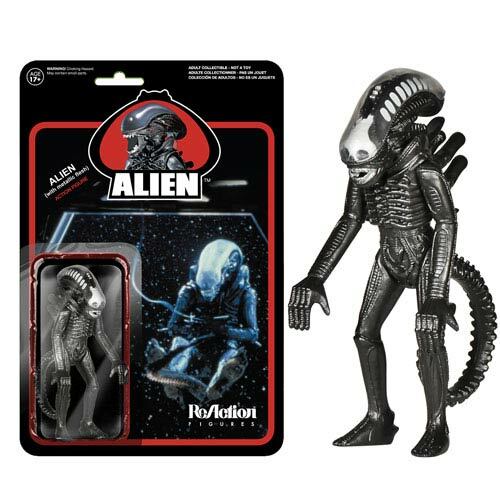 Just get one, it's good - if you want a Jack Skellington that look like it came from Kenner in 1984, this is it, and it's solid. So read on and come back tomorrow for more! Jakks Pacific has the Nintendo license and we look at their first non-Mario family release in Six Second Toy Talk. It's World of Nintendo Link, and at 3 3/4-inches tall it's sized to go with most of the toys I cover on my various sites. Best of luck finding one. He'll be in FOTD shortly with the usual full compliment of photos. "The WARRIORS OROCHI series is a series of tactical action games in which heroes from the DYNASTY WARRIORS and SAMURAI WARRIORS franchises work together in an effort to defeat Orochi, the Serpent King. The latest title in the series, WARRIORS OROCHI 3, features over 120 playable characters, who can be played freely in three-character teams. Themes of loyalty, betrayal, friendship and love are explored in the human drama created as these heroes clash on the field of battle." Also available is Warframe for, seemingly, free and Dance Central Spotlight for $9.99. A tube of robots and ninjas! 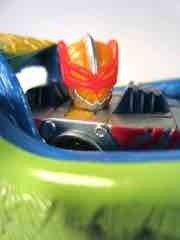 The Blip Toys Battle Warriors Ninjas vs. Robots is at Target for five bucks right now. So read on and come back Monday for more! 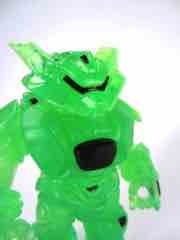 Via the Glyos News Dump: Sunday Glyos Drop Has Final Wolf Armorvor Heads. If you haven't bought the unhelmeted wolf head, these three figures are your last chance! The next all-new head will hit in October. This week's Wii U offerings: Cubemen 2. The Wii U Virtual Console has Nobunaga's Ambition, if you're up for it. This week's batch of titles on the 3DS eShop: 3DS games include THEATRHYTHM FINAL FANTASY CURTAIN CALL, and Tappingo 2. 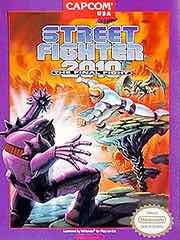 Up for the Nintendo 3DS Virtual Console: Street Fighter 2010: The Final Fight from the NES. It is $5. Check it out! The Bif Bang Pow! Venture Bros. 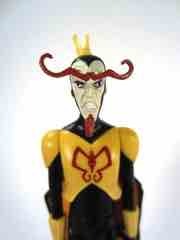 The Monarch Action Figure is one of those figures that I chimed in on, and it's a pretty good one. So read on, and come back soon for more! The wolf head's final pull! Onell Design has a New Rig Crew Wave for their latest drop, and at press time 2 items sold out - the Crayboth. 23 items went on sale, one of which was the fifth of the super-popular clear colorless Armorvor. Get while the getting is good! 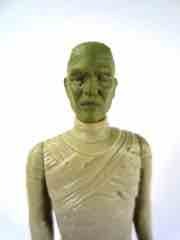 We're going to look at it in full on Wednesday, but until then check out this Funko ReAction Universal Monsters Mummy. 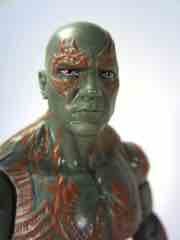 It's one of the better figures - glossy plastic bandages, a green painted head, plus a ring was sculpted on the hand. It's pretty slick. Blue! The Hasbro Transformers Generations Thrilling 30 Autobot Gears with Eclipse brings us another update in the original 1984 Autobots... even though the head looks like Brawn, it's a nice figure based on the Swerve mold from earlier this year. So read on, and come back soon for more! A fuller review is coming, but for now enjoy Walgreens The Black Series Concept Armor Boba Fett Action Figure in Six Second Toy Talk! Click play and you'll be done watching it before you know what hit you. Ad: Check out the Entertainment Earth Exclusive Sons of Anarchy Gemma and Opie Action Figures! The exclusive versions of Gemma and Opie are due in March 2015 at $19.99 each. Jax and Clay are due in October at $19.99 each. Collect them all! FOTD hits 1,000 today - wow! The Funko Universal Monsters The Mummy ReAction Figure is a heck of an awesomely strange figure, and it's living in a cabinet under my TV - a great display place. So read on, and come back tomorrow for more! Today in Six Second Toy Talk, let's look at Hasbro Transformers Generations Windblade. 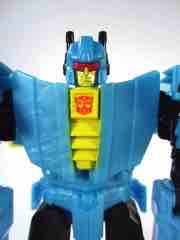 I got mine at Entertainment Earth (not in stock at press time) with Jhiaxus, Crosscut, and Nightbeat. New to the Playstation 4 this week: Destiny and NHL 15. New to the Playstation 3 this week: NHL 15, Alawar Farm Frenzy Bundle, and Destiny. 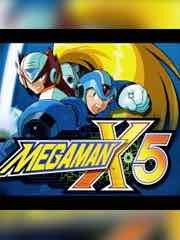 New PSOne games this week: Mega Man X5 for $5.99. Army men! But... not. The Thinkway Toys Wall-E 15-Pc Bag O' Bots Figure Set was $4 at Kay-Bee, making it a fine cheap toy back from when cheap toys were actually somewhat cheap. So read on and come back tomorrow for more! Hasbro hasn't been shy winking at their fans lately, as you can see in Six Second Toy Talk. This Transformers Generations Sky-Byte Review shows the very first all-new mold given to the character - previously he's been made on Cybershark and Sharkticon bodies. 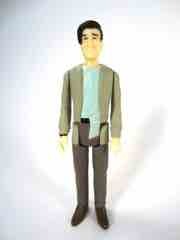 He's very new, very big, and very likely to be in Figure of the Day in the next month or so. 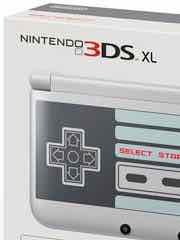 Apparently there's a GameStop Expo and Joystiq says that New 3DS XLs [are] incoming, including NES-styled model. Oooh. NES and Persona editions are GameStop exclusives and a princely $199.99. A Super Smash Bros. version is also coming, as are many Nintendo fans as they read this news. The NES themed box is the prettiest yet, with the cardboard box resembling the 1985 console down to the AV jacks on the side. 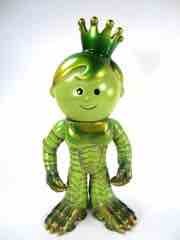 Green! But not the green whore, who is his friend. The Hasbro Guardians of the Galaxy Marvel Legends Infinite Series Drax is showing up a bit more now but the line remains obscenely popular - so get yours already. So read on and come back Monday for more! 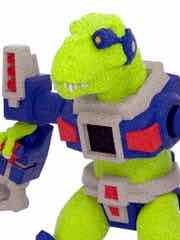 Via the Battle Beasts News blog: Meet Rampager Rex - Shapeways Battle Beast-Compatible Figure . Just under 2-inches tall, 2 joints, and 5mm-compatible limbs. It's perfect! Well, the idea is - it's in beta and still undergoing refinements. It's pretty spectacular looking. Note the tiny t-rex arms in the suit. Lovely. It's $10.88 in sandstone right now, and I'd be lying if I said I wasn't tempted. 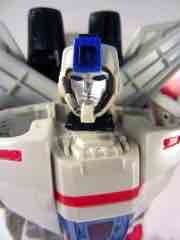 Starscream's alternate mold buddy is in today's Six Second Toy Talk. This Transformers Generations Jhiaxus Review shows Hasbro's first attempt to make a proper Jhiaxus head - the previous one being a redeco of Beast Machines Jetstorm. It's not bad! If you like Starscream, this is pretty good. 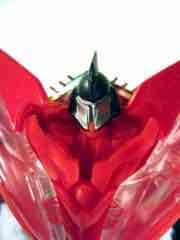 I expect many fan repaints of it. 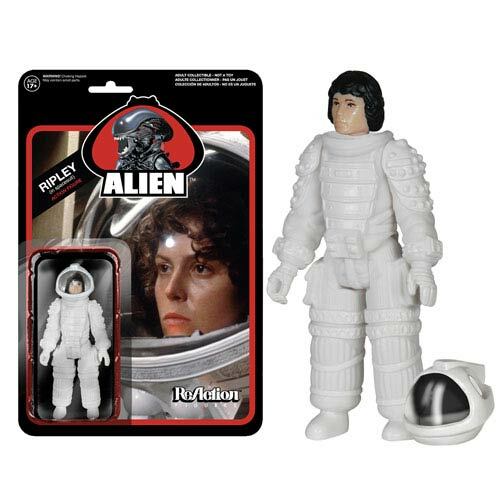 New figures include Metallic Alien, Spacesuit Ripley , Kane with Chestburster, and Kane with Facehugger. These figures are due in November. This week's Wii U offerings: Kickbeat Special Edition and Teslagrad. 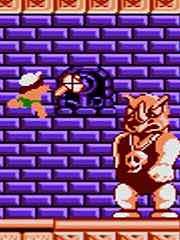 The Wii U Virtual Console has Adventure Island, an NES classic for $4.99. 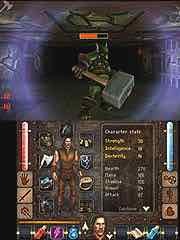 This week's batch of titles on the 3DS eShop: 3DS games include The Keep, Top Model 3D, and Hideaways: Foggy Valley. He is your density! The Funko Back to the Future George McFly ReAction Figure is one of those figures I consider unlikely to exist - but he does, so I bought it. So read on, and come back soon for more! A friend of the site alerted us to a cache of 2015 LEGO Leak on Imgur which for various reasons we will not be posting or hosting here. 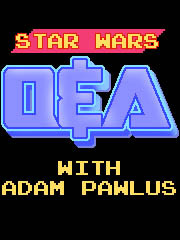 Spoilers for Star Wars await you, as well as returning Classic Pirates and Bionicle. Chima, Friends, Elves, and many more - including unfinished DC comic sets - are on deck for the new year. 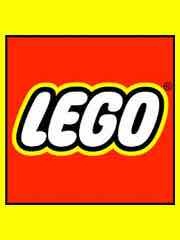 In case the images get yoinked, Brickpedia has a decent list of what's to come sans images. 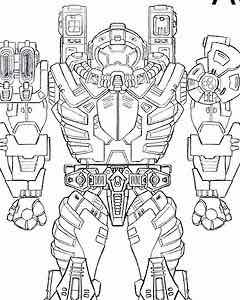 Today, look at Transformers Generations Gears. It's potentially something you should be finding nowish if you didn't order one online. Also, customizer Cheetimus made a video that shows you just how easy it is to de-chrome your Generations Leader Jetfire. As a bonus, the plastic underneath is red. It'll cost you about $15 in chemicals, it seems. History indicates the figure's chrome may crack or flake with time, so it may not be a terrible idea to de-chrome it now or keep this link handy for down the road when it starts to molt. Bluer! The Hasbro Transformers Generations Thrilling 30 Nightbeat is the character's first real retail release in ages - sure we had movie versions and club exclusives, but those weren't $15 and with a comic book. So read on, and come back soon for more! 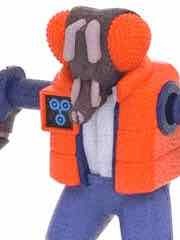 Galactic Hunter has posted Figure of the Day! Today: Rebels Obi-Wan Kenobi (Star Wars Rebels 2014)! 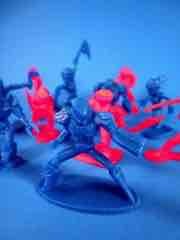 New sculpt, new mold, nice blue plastic - it's a winner! We did FOTD the other week, but I like the Comic-Con Exclusive Freddy Funko Hikari Vinyl Figure so much I had to show it in Six Second Toy Talk! Click play and you'll be done watching it before you can finish this sentence. 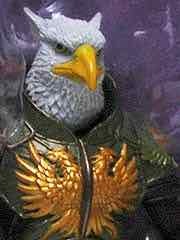 Now at Store Horsemen: Gothitropolis Ravens Action Figure Pre-Orders including some various accessories. Figures are each $33, but no release date is posted. 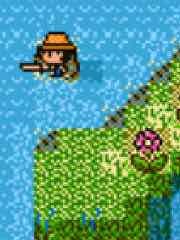 If their previous projects are any indication, we're probably at least 1-2 months away from landfall and another 1-2 months away from fulfillment. So orange! The BMOG Toys Action Hunter Ursenal vs. Mantax Figure Kit is a Kickstarter-exclusive item that could, in theory, now be yours. So read on, and come back tomorrow for more! 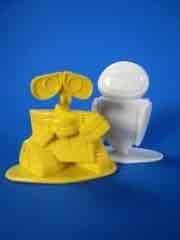 Galactic Hunter has posted Figure of the Day! Today: Rebels Kanan Jarrus (Star Wars Rebels 2014)! New sculpt, new mold, good joints! Today in Six Second Toy Talk, let's look at Hasbro Transformers Generations Crosscut. 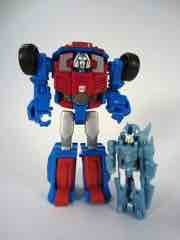 It's like Skids, but silver and with a new head. It's an obscure G1 repaint of a reissue sold in Japan, so don't worry if you've never heard of him or seen him outside IDW's comic book series. Ad: The new guys are up for grabs! 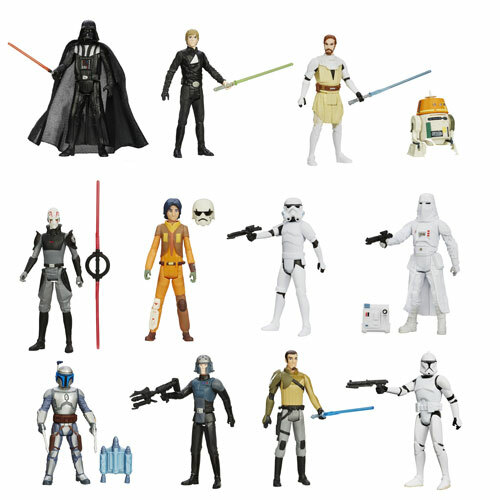 Order Star Wars Saga Legends Action Figures Wave 4 Case from Entertainment Earth! Chopper, Kanan, Kallus, Stormtroopers, and those guys you missed in Canada over the summer are in here. They're due around October so pre-order your case right now! Get while the getting is good! New to the Playstation 4 this week: Air Conflicts Vietnam Ultimate Edition, Kickbeat Special Edition, Fibbage: The Hilarious Bluffing Party Game, and Anomaly 2. New to the Playstation 3 this week: Alawar Minis Bundle, Fairy Fencer F, Fibbage: The Hilarious Bluffing Party Game, Jetpack Joyride Ultra Bundle, and Naruto Shippuden: Ultimate Ninja Storm Revolution. New PS2 classic games this week: Meet The Robinsons for $9.99. 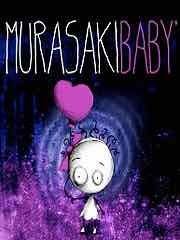 New to the PSP Vita this week: Murasaki Baby, Run Like Hell! and Jetpack Joyride Ultra Bundle. 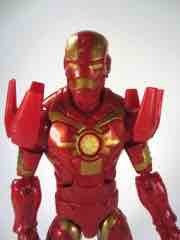 Space Iron Man! Revisited. The Hasbro Guardians of the Galaxy Marvel Legends Infinite Series Iron Man was not on my shopping list, but he came with a Groot limb... and that changed quickly. So read on and come back tomorrow for more! 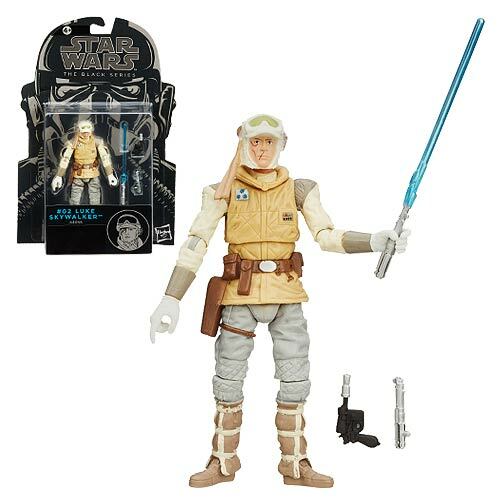 Galactic Hunter has posted Figure of the Day! Today: Rebels Ezra Bridger (Star Wars Rebels 2014)! New sculpt, new mold, good joints! Hasbro hasn't been shy winking at their fans lately, as you can see in Six Second Toy Talk. This Transformers Generations Nightbeat Review shows the third take on the Bumblebee body - and the first not as Bee - is pretty amazing. I love the coloring, and the robot mode really works for the character. I hope you got yours! "The Games on Demand version supports English, French, Spanish, Portuguese. 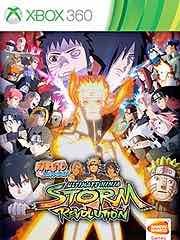 The latest Naruto game with 100+ playable & support ninjas, the most content in the series & evolved battle system with team based play mechanics. 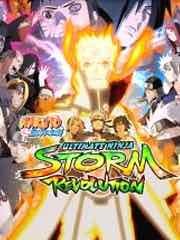 Select from three types of teams & depending on the ninja chosen, you can perform Combo Ultimate Jutsu or be in a state of True Awakening! A new mode called Ninja World Tournament lets you battle 3 other ninja & the last one standing wins! Enjoy 50+ minutes of new animation & learn more info about the Creation of the Akatsuki, The Two Uchiha & more!" Green! So clear, so green. 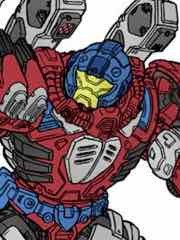 This Onell Design Glyos Armorvor Neo Phase Action Figure is arriving in homes this week, and is one of the final two wolf head Armorvors to be made - get yours if they didn't run out yet. So read on and come back Monday for more! 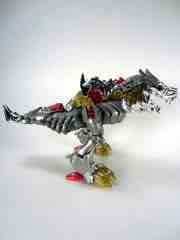 Via the Battle Beasts News blog: Atomic Allosaurus and Stalwart Styracosaurus from Trent Troop. Just under 2-inches tall, 2 joints, and 5mm-compatible limbs. Unlike Rampager Rex, these are just concepts he posted - you can't buy them just yet, but hopefully soon. Nice stuff! Starscream's alternate mold buddy is in today's Six Second Toy Talk. 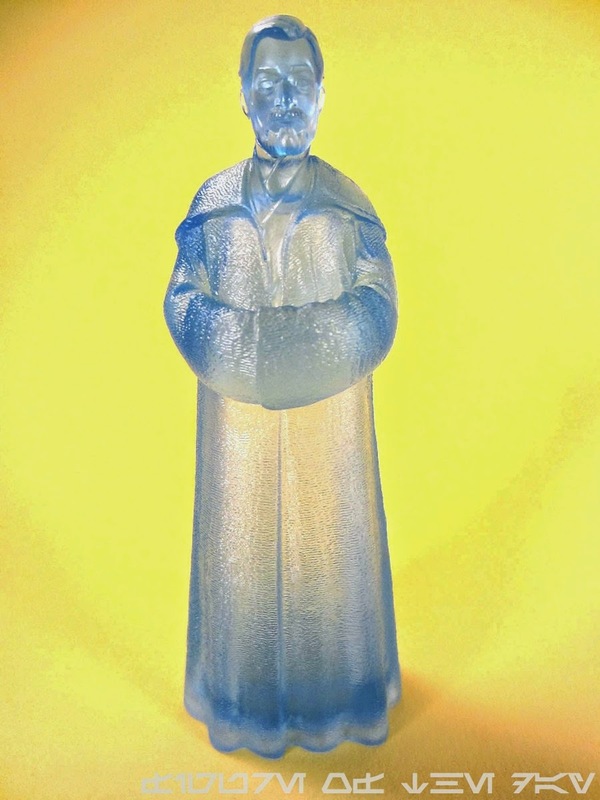 This Star Wars Rebels TRU Holographic Obi-Wan Kenobi Review has 1 joint, no paint, is hollow, and I love it! It may be at a Toys R Us near you, blacked out in a boxed set with Kanan Jarrus and Ezra Bridger. This week's Wii U offerings: Arrow Time U and Spikey Walls. 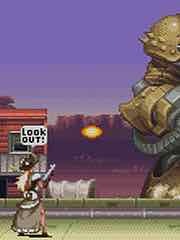 The Wii U Virtual Console has Wild Guns, a Super NES classic for $7.99. This week's batch of titles on the 3DS eShop: 3DS games include Theatrhythm Final Fantasy Curtain Call, Cooking Mama 5: Bon Appetit, and Secret Empires of the Ancient Worlds. Up for the Nintendo 3DS Virtual Console: Legend of the River King 2 from the GameBoy Color. It is $5. Real futuristic. I dig the fins. Him king! The Hasbro Transformers Age of Extinction SDCC Exclusive Grimlock is probably the best of the SDCC set - there's no flaking, no stressing, no fuzz, and no muss so far. So read on, and come back soon for more! 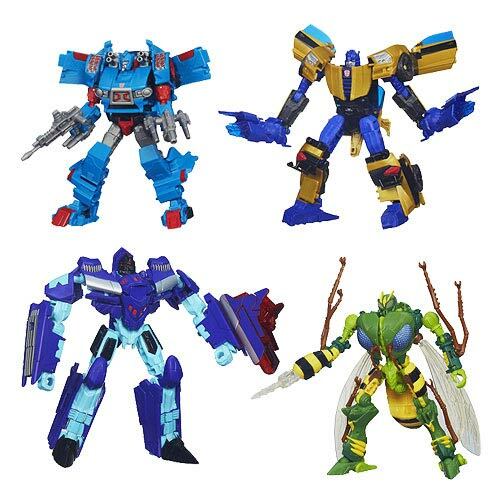 In case you missed it, Come See Toys posted the Asia Protectobots Transformers Sets which are coming to Singapore. There are 2 sets mixing Prime, Revenge of the Fallen, and Universe molds. 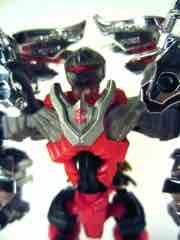 Of note (pictured) is the Reveal the Shield Grappel mold, redecorated as Hot Spot in red for some reason as he wasn't actually red. So it's kinda new. The other set seems to be coming to Amazon for $32.99 as the Transformers Asia Kids Day Protectobots Emergency Response 3-Pack . This set has 3 figures, is supposedly due in October 1, and is $32.99. 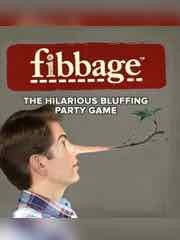 Oddly, no picture is posted, and I wasn't able to find the companion set at press time. The set uses 3 Prime molds to make First Aid, Streetsmart, and Groove. Groove is basically Prime Arcee Cyberverse with some silver. 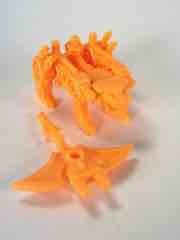 Via the Battle Beasts News blog: New Combat Creature - Terrifying Tyrannosaur, Sandstone Rampaging Rex Delivered. 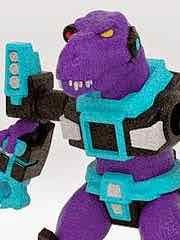 Not only did someone order and get Trent Troop's Rampager Rex, but a mirror-flipped purple redeco is up for grabs right now. It's an interesting (and totally clever) way to exploit manufacture-on-demand to get mirror-flipped toys out there so anyone can easily inject more visual variety beyond color. Sandstone print-outs are $16 per figure. Today, look at Transformers Generations Roadbuster. I haven't seen it in stores but I'm assured he's out there - and he has six guns. As usual, more are coming. Tight and shiny! The Hasbro Transformers Age of Extinction SDCC Exclusive Slug is a new take that wants to remind you of the best transforming toy triceratops of 1985. So read on, and come back soon for more! 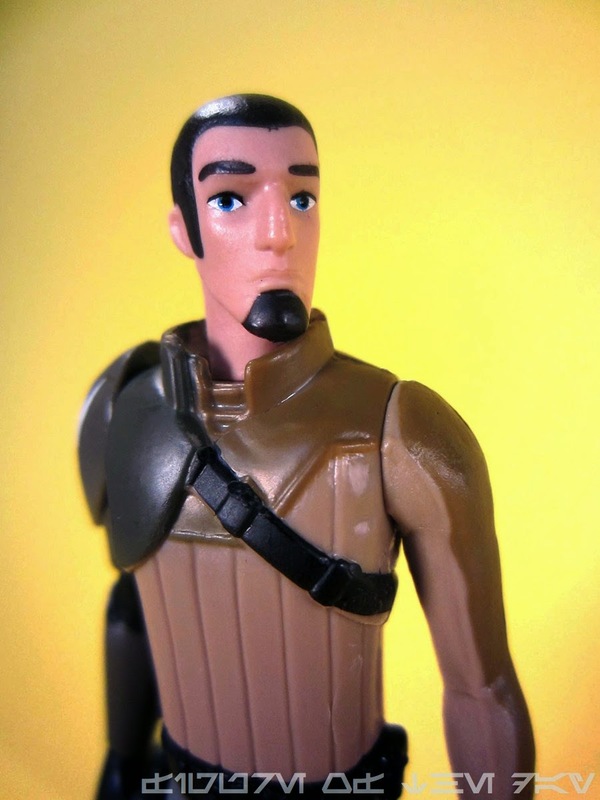 Let's look at Star Wars Rebels Kanan Jarrus Action Figure. 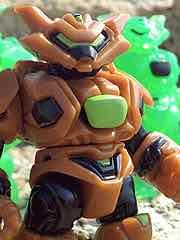 I haven't seen the show yet, but I like the toy! Click play and you'll be done watching it before you can finish this sentence. Via Kickstarter: OMFG! Series 4. They're due in April 2015 and October Toys has been historically good on reaching their delivery dates - I've supported every one of their Kickstarter projects so far and have been pleased with the results. The cheapest level is $12 shipped for a flesh-colored 5-pack, I went for the $27 set which has a black set and a flesh set. The project has 25 days to go. Series 5 voting will be open to Series 4 backers - which is an interesting change of pace and I daresay a good idea. 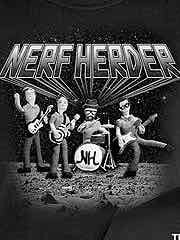 Via PledgeMusic: Nerf Herder: The New Album. It has already been supported, but it's $10 for MP3s, $15 for CDs, or $30 for vinyl. 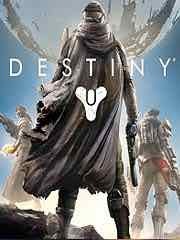 It claims 84 days until release. Via Battle Beasts News: Bootleg Beast Saga - English Packaging, Poor Paint Jobs . 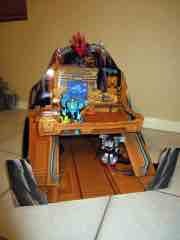 A Don Whale bootleg is on eBay for $21, and the Little Rubber Guys forums has a few samples for your viewing. Packaging is in English, paint jobs are poor, but they do look quite a bit different so check them out. Did you get yours? 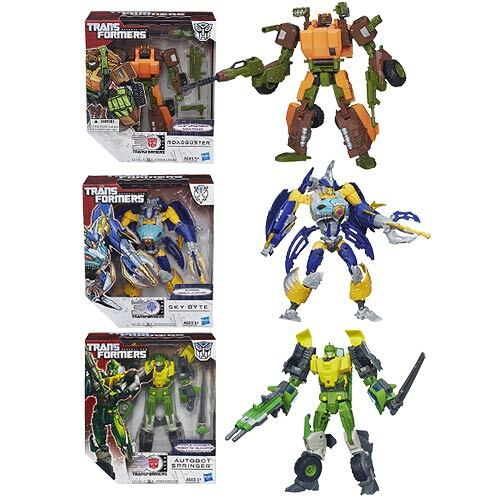 Amazon has Transformers Generations Sky-Byte and Roadbuster in stock at press time. Shipping is free if you buy both. Clearly two heads of terror! 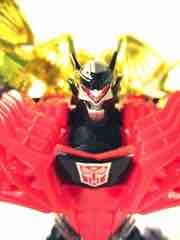 The Hasbro Transformers Age of Extinction SDCC Exclusive Strafe is a decent, if odd, update of Swoop from 1985. I wouldn't say it's even close enough, but it's a fun, bizarre toy worthy of your attention. So read on, and come back tomorrow for more! 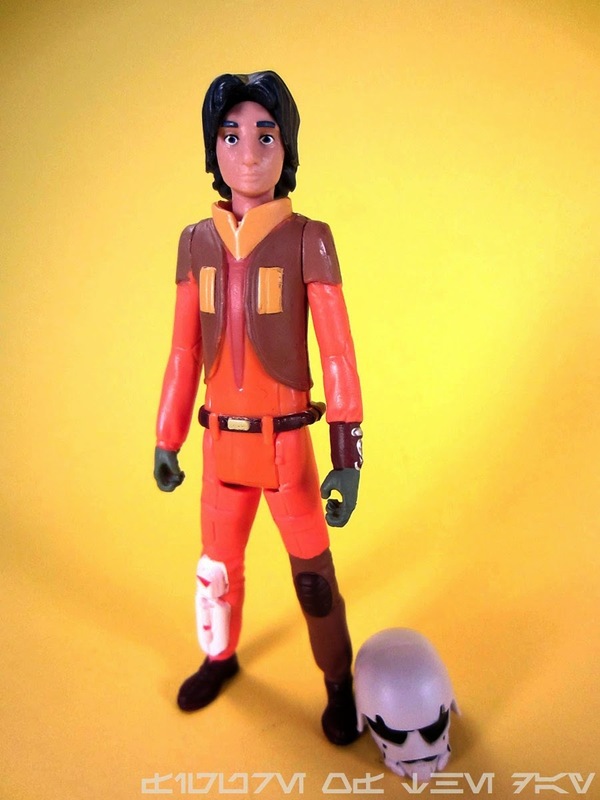 Let's look at Star Wars Rebels Ezra Bridger Action Figure. He steals helmets! I can appreciate this. 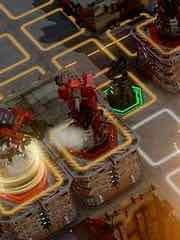 New to the Playstation 4 this week: Castlestorm: Definitive Edition, Defense Grid 2, Flockers, and FIFA 15. New to the Playstation 3 this week: Ar nosurge: Ode To An Unborn Star, Arcana Heart 3: Lovemax!! !, FIFA 15, and Slender: The Arrival. New PS2 classic games this week: Wall-E for $9.99. New to the PSP Vita this week: Arcana Heart 3: Lovemax!! !, Frozen Synapse Prime and FIFA 15. Golden, flaky crust. The Hasbro Transformers Age of Extinction SDCC Exclusive Snarl came out before the green version - which I haven't seen yet - but hey, the year is young. So read on and come back tomorrow for more! Via Play With This Too: Time to Play With This Too! Ad: The new cars are in early this year! 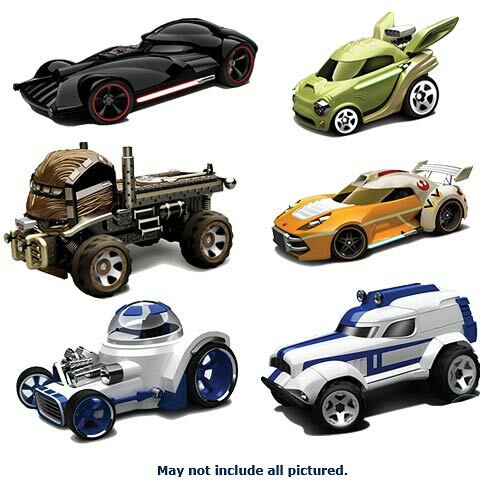 Order Star Wars Hot Wheels Character Cars from Entertainment Earth! Chewbacca, Kanan, Ezra, Yoda, and many more are due in a few weeks and more still are coming next year. Click the picture to see the breakdowns of the waves as we know them so far! "You're on your own. No one to come for you. No one to help you. No one to hear you scream. Slender: The Arrival is the official video game adaptation of Slender Man, re-created from Mark Hadley's original nerve-shattering sensation. Developed in collaboration with Blue Isle Studios, The Arrival features a brand new storyline, improved visuals, great replay value, and most importantly, survival horror at its best." 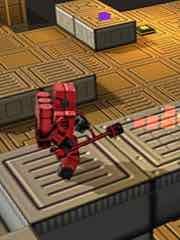 "Defense Grid 2, DG2, is the highly-anticipated sequel to Hidden Path Entertainment's 2008 Defense Grid: The Awakening. Setting the bar as the definitive tower defense game, Defense Grid 2 introduces new worlds and threats to test your tower placement strategies. With a bold new look, a compelling single-player campaign, and the addition of new game modes, online player-versus-player and multiplayer co-op, every play-through brings fun new opportunities and challenges." 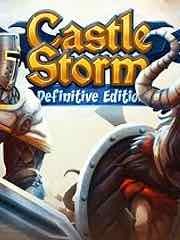 Also available is CastleStorm Definitive Edition for $14.99. Be careful with it. This Hasbro Transformers Age of Extinction SDCC Exclusive Ark is really huge but the adhesive and paper need to be treated with great care. It's an amazing design, but that doesn't mean that it's invulnerable. So read on and come back Monday for more! This week's Wii U offerings: Angry Bunnies: Colossal Carrot Crusade U and Darts Up. 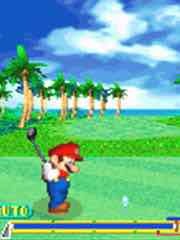 The Wii U Virtual Console has Mario Golf: Advance Tour, a GameBoy Advance classic for $6.99. 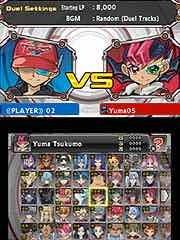 This week's batch of titles on the 3DS eShop: 3DS games include Yu-Gi-Oh! Zexal World Duel Carnival. Pretty big! The Hasbro Transformers Generations Thrilling 30 Jetfire is shipping now from online shops, and you'll probably see it in stores within a couple of weeks. So read on, and come back soon for more! Last week I posted the first set, since the second wasn't up on Amazon. Now they're both up - so you can get all 5 Protectobots, or just get the Hot Spot since that's what you probably really want. These are supposedly going to ship this week, making their roll-out on Amazon one of the best-kept secrets of the season. 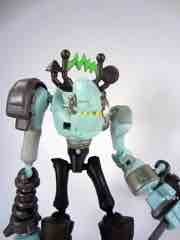 Via the Battle Beasts News blog: Muty McFly - New Combat Creature on Shapeways. Marty McFly + The Fly + Battle Beasts = Clever. The design is in beta now for a mere $10.73. 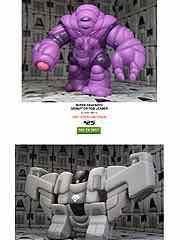 Via the Glyos News Dump: New Kabuto Mushi - October 5. A brown flavor with green highlights can be yours on Friday! Today, look at Transformers Generations Jetfire. 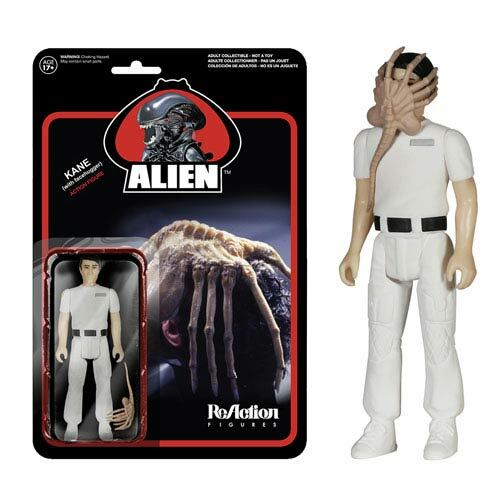 I haven't seen it in stores but I'm assured he's out there - he has a lot of gear. So old! 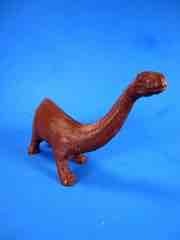 The Louis Marx Toys Dinosaurs Brontosaurus Figure belonged to my father, and it's been in my toy box since I was a wee lad. Remarkably, it's still in good shape. So read on, and come back soon for more! Let's look at Transformers Dollar Age of Extinction Strafe. I got it at Big Lots last Friday for five bucks. Click play and you'll be done watching it before you can finish this sentence. 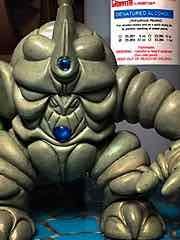 The God Beast Vinyl - Kabuto? 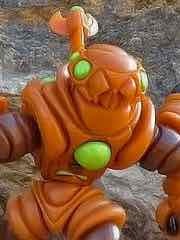 Via the Glyos News Dump: Vinyl Kabuto Mushi from The God Beast. 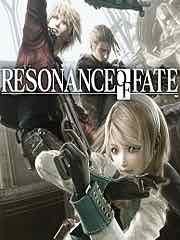 No release date was given, but 2015 seems fair to assume. Hand-cast versions are likely to be up for grabs very soon, so keep an eye to the October Toys forums for more on that. Via Play With This Too: Astroblast in Color. A line of articulated 6-7-inch action figures with 5mm compatibility and Masters of the Universe Classics-style articulation is in the works with no known pricing or ETA. 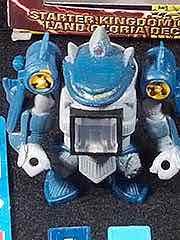 The figures are said to be designer toys, and from the look of things they take some direction from Transformers Pretenders toys of old. Following a loathsome trend, rather than post stuff on their own web site PWTT is posting a ton of new images and art to Tumblr. Astroblast and Desolator art are up now and they do look fairly ambitious. The line itself has no name as of yet, and they do seem a lot more intricate than most current strains of indie and Kickstarter-derived action toys. Did you get yours? 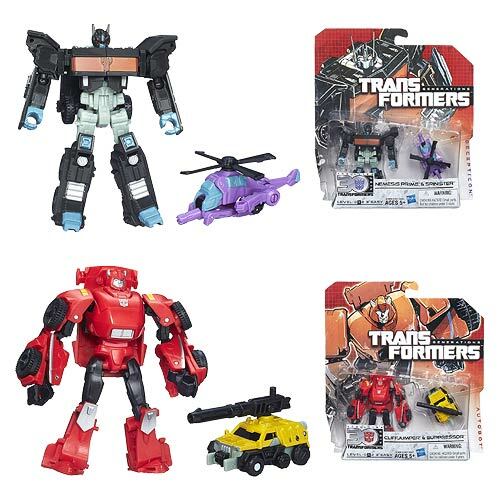 Entertainment Earth has received new and restocked Transformers Generations toys and you should probably get some. 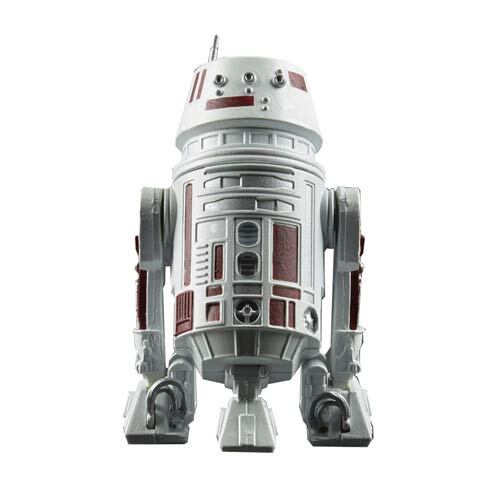 Spend $79 on these or other in-stock toys and get free shipping.